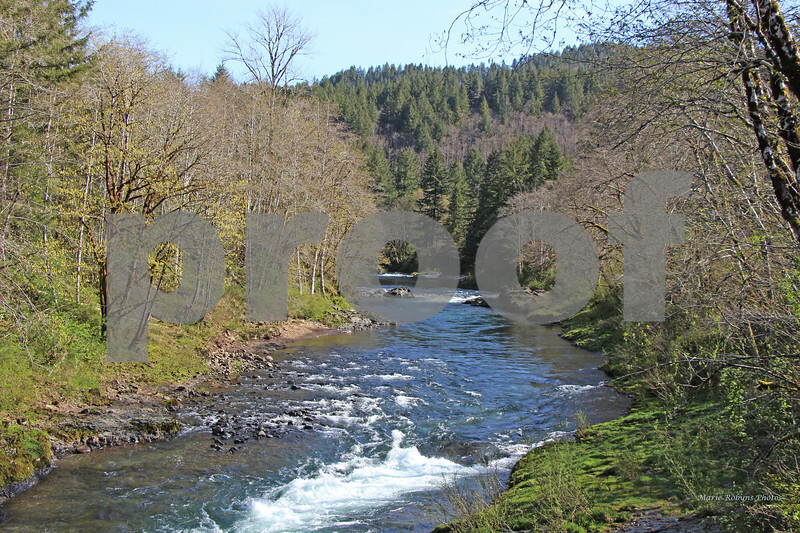 The Wilson River flows from the Northern Oregon Coast Range to Tillamook Bay on the Oregon Coast. The Wilson River in Spring with leaves starting to emerge on the trees and a clear blue sky. Photographed April 20, 2014 at 9:12 a.m.